Home » Health » What Is Phobia ? A Phobia is excessive fear of something. These fears can arise when facing a situation, being somewhere, or when seeing a particular animal. In conditions of severe phobias, sufferers will try to avoid objects that can trigger fear. Phobias are actually included in anxiety disorders . This condition can make sufferers depressed, panic, and limit activities. Phobias can be specific or complex. Examples of specific phobias include fear of water depth, height, animals, doctors, syringes, blood, or fear of contracting sexual diseases. While examples of complex phobias, including fear of social situations, fear of speaking in public, or fear of being in an open space. Most cases of specific phobias are experienced by sufferers from childhood or adolescence. While complex phobias generally begin to develop when the sufferer enters adult life. The chest feels tight and painful. The body trembles and sweats. The sensation of wanting to urinate always. Crying constantly and afraid to be left alone (especially in children). Are You Know : What Is Scarlet Fever? Traumatic events or bad experiences . 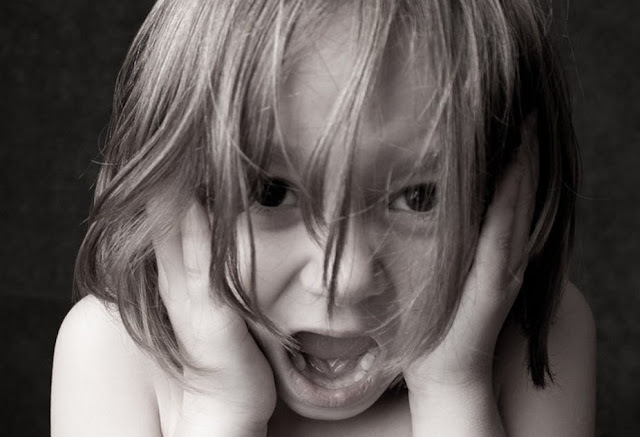 Phobias are often associated with previous traumatic events or bad experiences in childhood. For example, someone who has been confined when he was a child tends to be afraid of closed spaces when he grows up. Changes in brain function . Some specific phobias can be caused by changes that occur in brain function. Genetics and environment. Phobias can occur due to influence from the environment or family. For example, someone tends to experience a phobia if raised by parents who often experience anxiety. Phobias can usually be easily diagnosed by a doctor from the symptoms that lead to the condition, with strengthened by a history of the disease (including psychiatric), history of drug use, and history of social life of patients. Treatment of phobias can be done through psychological therapy, one of which is effective cognitive behavioral therapy. This therapy helps patients change their perspectives and ways of behaving towards a problem. In the case of a phobia, the therapist will help the patient overcome fear through exposure or descentization techniques. With the technique of exposure to a feared object or atmosphere, fear is expected to gradually decrease so that in the end the patient can control the phobia he has experienced. For example, it is in patients who experience phobias of snakes. Initially, the patient will be asked to read the writing about the snake, then show the picture of the animal. The next stage is to visit the snake cage, which is continued by holding the reptile directly. In addition to these techniques, the therapist will also teach patients the techniques to control themselves. For example, through relaxation techniques to help regulate calmness and breathing, or visualization techniques to imagine the success of overcoming a situation. More effective results will be seen when several therapeutic techniques are combined with the support of a healthy lifestyle. For example, getting enough rest, eating healthy foods regularly, and diligently exercising. Serotonin release inhibitors (SSRIs). This drug works by influencing one of the transmitter hormones in the brain, namely serotonin, which plays a role in creating and regulating moods. Beta blockers (beta blockers). Drugs that are usually used to treat hypertension and heart problems are given to inhibit reactions that arise from adrenaline stimulation due to anxiety, such as trembling sounds and bodies, palpitations, or increased blood pressure. Benzodiazepines. This drug is given to treat anxiety at a severe level. Usually benzodiazepine administration will be reduced gradually as conditions improve to avoid dependence. 0 Response to "What Is Phobia ?"